Nasc has welcomed a commitment from the Department of Justice that asylum seekers in Direct Provision who have received eviction notices will not be made homeless. Minister David Stanton told RTÉ’s Drivetime programme last night that no asylum seekers would be made homeless despite a number of eviction letters issued by the Department’s Reception and Integration Agency (RIA). 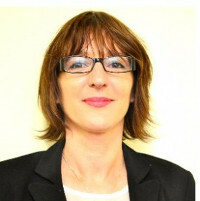 Fiona Finn, CEO of the immigrant support centre, said: “While we still remain highly alarmed by the apparent seismic shift in policy by the Reception and Integration Agency in the provision of accommodation to asylum seekers on deportation orders, we are very happy to hear that the Department will not in fact be making anyone homeless. Ms Finn (pictured) added: “The Department cannot, all of sudden, decide it no longer has a duty of care to this cohort of people, without providing some viable and durable alternative solutions. “We are now asking the Department to clarify, is this a permanent change in policy, and if so, will it also be extended to families and children on deportation orders?